Prepare to make a “connexion”! “Why do I have to learn French?” You’ve probably heard your students ask the question a hundred times. What’s missing is a connection! The connection between what they learn in the classroom and the usefulness, the value, and the importance of speaking French outside of a classroom setting. That’s why French for the Future created the Franconnexion Sessions. What exactly is a Franconnexion Session? 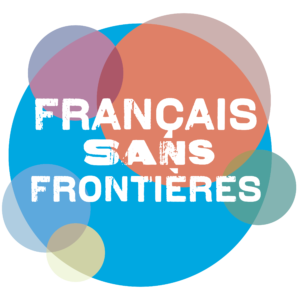 French for the Future provides a free toolkit of educational resources specifically designed to raise awareness about the advantages (and the fun!) of speaking French. You can use these resources to organize a Franconnexion Session in your classroom with your students in any grade from 7 to 12! The result? Your students are more motivated and engaged in their learning process because they better understand the value of what you are teaching them. In your toolkit, you will find videos, trivia games, as well as activities to go with our posters. A lesson plan is provided for each resource. We will also ship you a box with our posters and some little gifts that you can use as rewards for the students participating in your Franconnexion Session. How do I get my toolkit? Fill out the online form. Let us know about the date of your Franconnexion Session as well as the number of students who will participate, and we’ll send you the free toolkit about a month early. The Franconnexion Session toolkit is available for free anywhere in Canada. In return, we only ask you to answer a short survey after your event, in order for us to know what you thought of our program.